So we did. Why not? We were probably the only foreigners for a 2 hour radius. We arrived at the house about 30 minutes before the bride and groom. 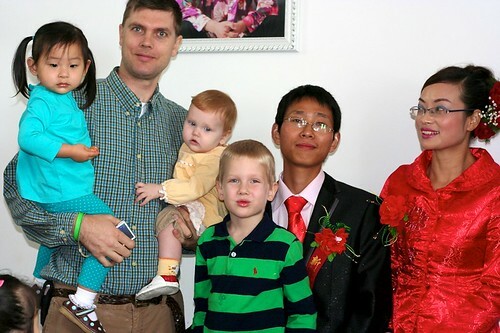 We enjoyed getting to know Wu’s extended family. 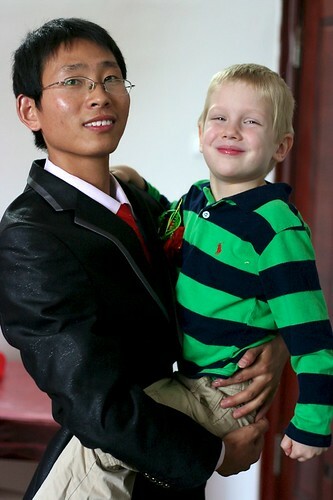 Wu left at 2:30am to go to ZhongShan to get his bride and bring her to his house. 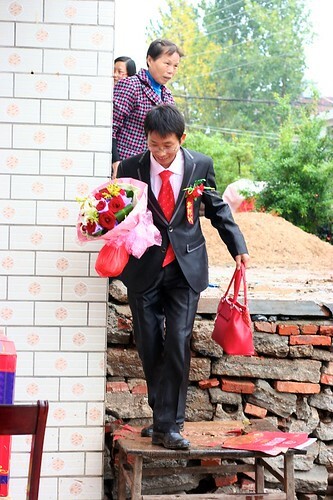 The groom jumped down two levels (bypassing the muddy road) to his door. 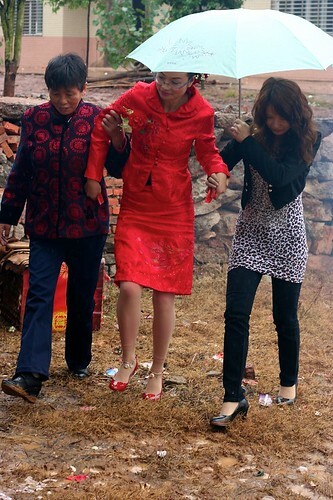 Meanwhile, Wu’s relatives escorted the bride through the mud. Bless her heart. The bride came to her new household with 2 traditional quilts and 2 red suitcases. 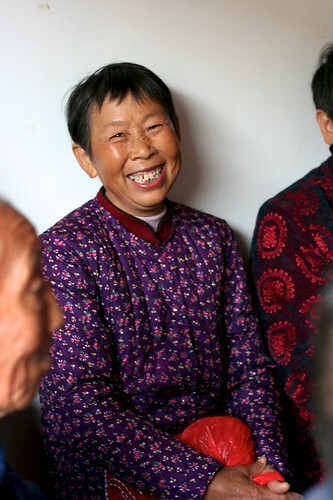 When they entered the home, all of the elders of the family were sitting down. 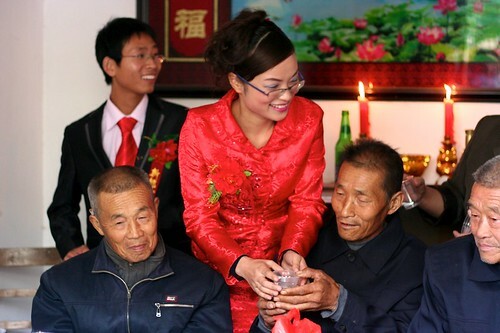 Wu’s uncle introduced the bride to each of the family members . 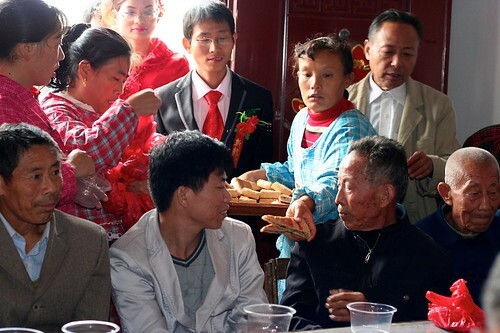 The elders were given red bags of snacks, 2 new red pillowcases and a local “fruitcake granola bar” type of traditional wedding snack. Then, the bride served some type of beverage that looked like hot water with brown sugar to each of the elders in order of importance. There was so much joy in the room. 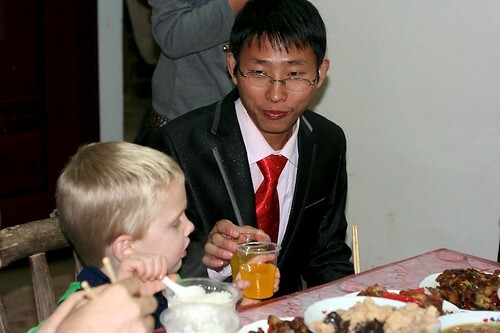 Wu poured while his bride served the sweet drink. 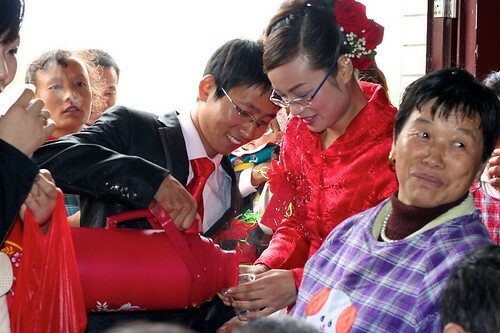 After each elder received their drink, they put money in a cup for the bride and groom. Since nobody else had a camera, Hubs and I designated ourselves as the event photographer and videographer. We love Wu so much. We’d do anything for him. 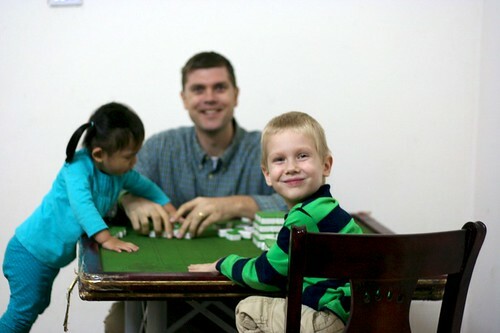 Wu taught Hubs Chinese for 2 years. That’s talking 5 days a week for three hours per day. 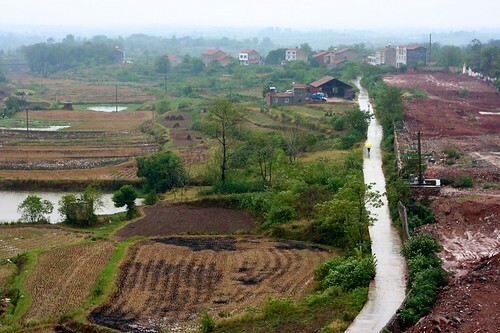 Hubs’ language lessons were peppered with stories of life in the countryside. 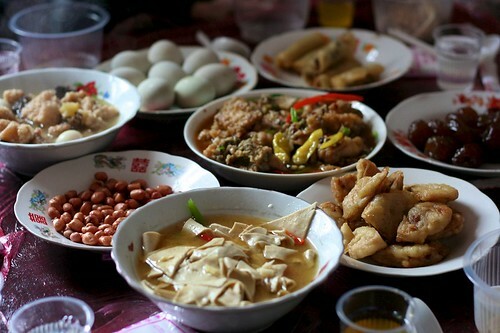 After all the relatives drank their sweet water, Wu was given a tray of money gathered off the table. And that was the end of the wedding “ceremony”. Now everyone hung out and waited for lunch. We were invited upstairs to join the bride and groom. 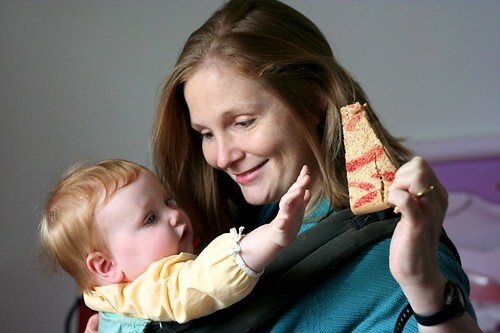 Selah tried to grab my wedding “granola bar”. 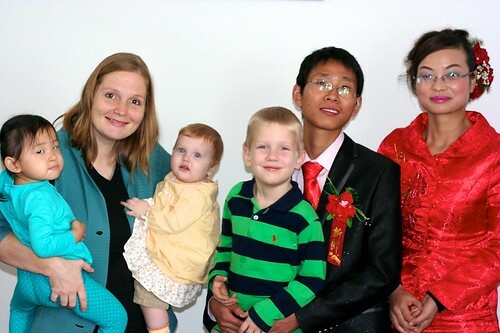 As soon as Wu was upstairs, the children rushed to him and demanded a red envelope. 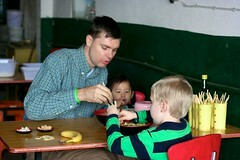 He had a stash filled with 5rmb (78 cents) to give to all the kids. 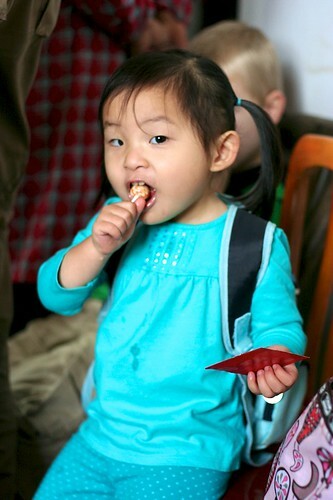 Sianna enjoyed the very best part of a Chinese wedding: red envelopes and candy! Congratulations to the bride and groom. Now, it’s good to note that this was just the wedding ceremony. They’ve probably been legally married and in the same house for a month or longer. 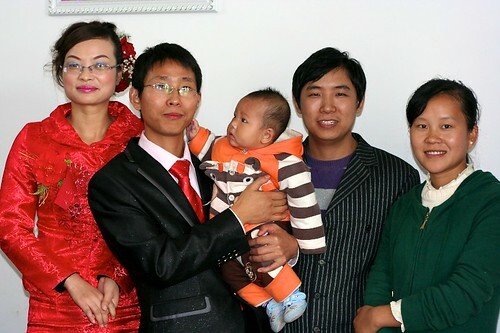 Wu’s elder brother and family. 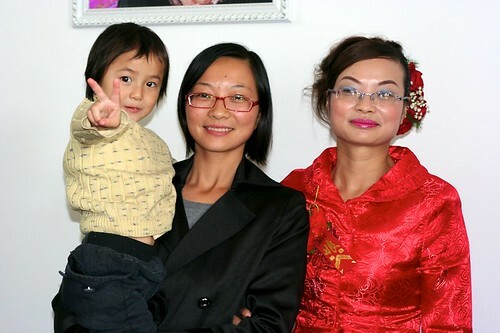 Bride Wang’s elder sister and her child. 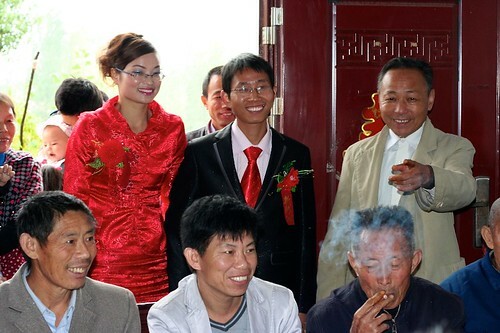 The bride’s sister was the only person to attend the wedding. 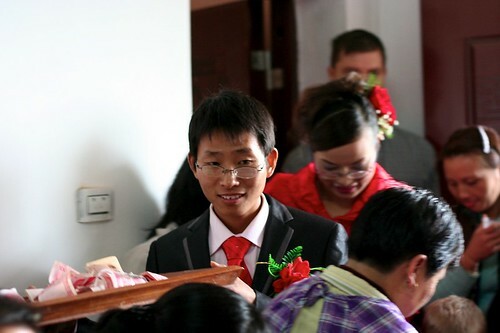 She waited upstairs while the bride served tea to Wu’s relatives. 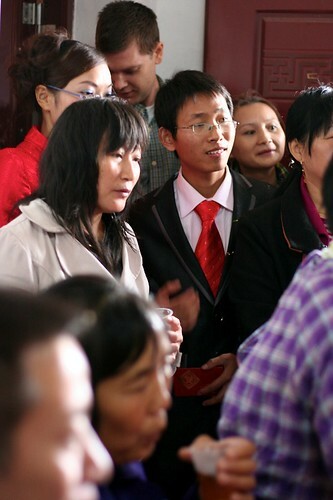 The bride’s sister will only stay with her for one day, then she will return to their hometown. Selah got plenty of attention at the wedding! When lunch was ready, tables popped up all over the house. 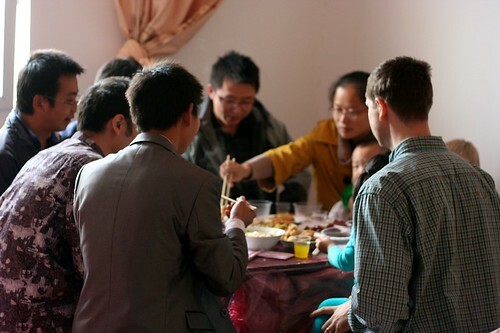 Wu’s brother served over 70 guests. Yum! 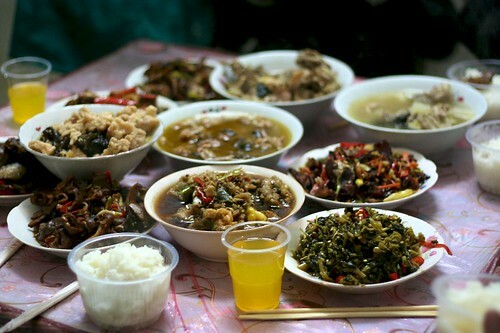 This is authentic home Chinese cookin’! 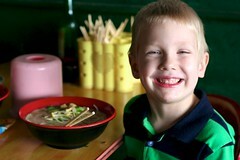 My favorite dish was the black-eyed-pea soup. 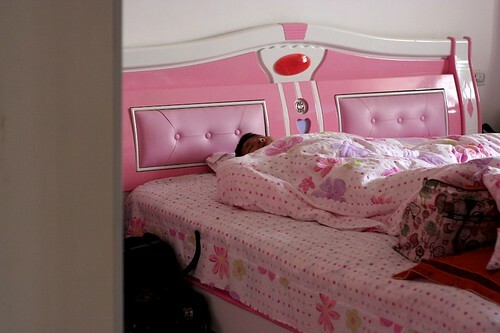 Since he stayed up the previous night, Wu caught a few short naps during the day. 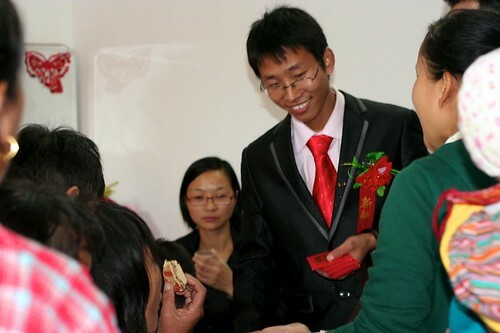 Wu’s high school buddies played a few games with the newlyweds including bite the candy on the string. Around three o’clock, we thought we should probably leave, but then we were invited to stay for supper. Hubs helped Sianna get a much needed nap. 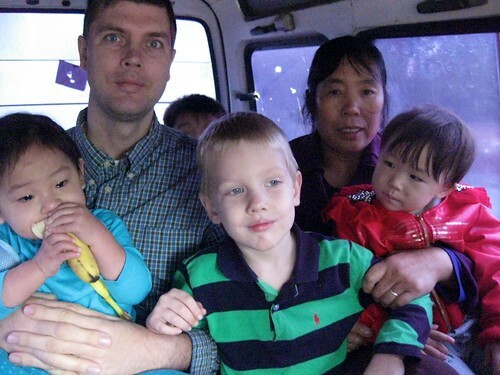 For weeks we were looking forward to taking the kids to the deep countryside so they could see the pigs, water buffalos and fields of vegetables. Because of the rain outside, there was no walking around. Keeping the kids entertained indoors all day was interesting. 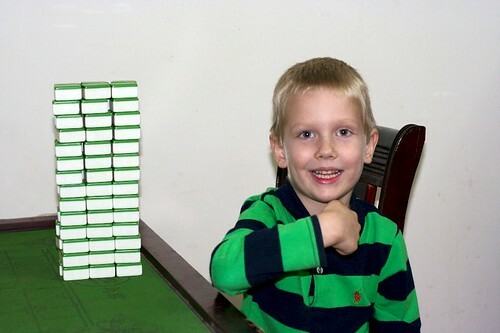 Schäfer built a tower with mahjong tiles. He’s pointing to himself so I’ll know who built the tower. Not exactly legos, but they’ll do! 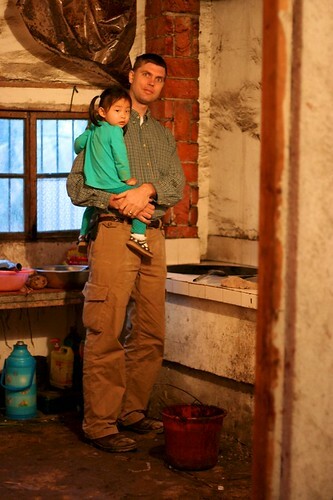 Hubs and Sianna checked out the kitchen. 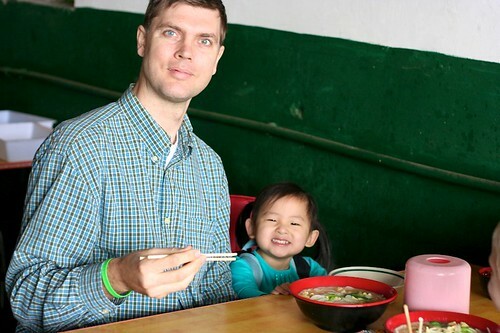 Everything was still cooked in two massive wood-heated woks. 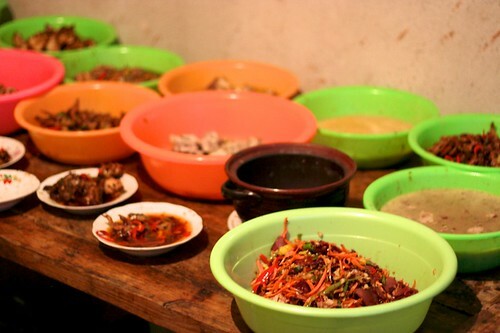 Leftovers, ready to be reheated. We finally let Selah crawl around on this bed. She loved pulling up on the bride’s two new quilts. Wait! Haven’t I seen this before? Supper was very similar to lunch. 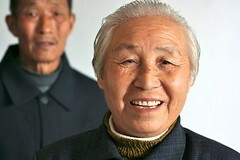 In China, instead of “bottoms up!” they say “gan bei!” (“Dry cup!”). Wu sat at our table during supper. There were about 7 other people also squeezed around the table. 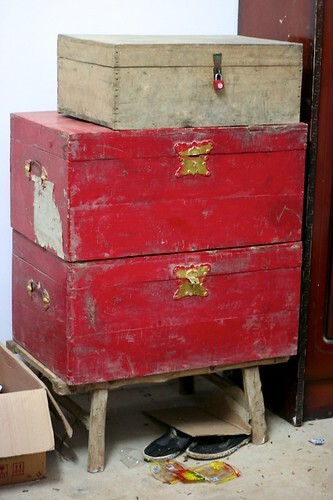 In the front bedroom, I noticed Wu’s mother’s wedding trunks. 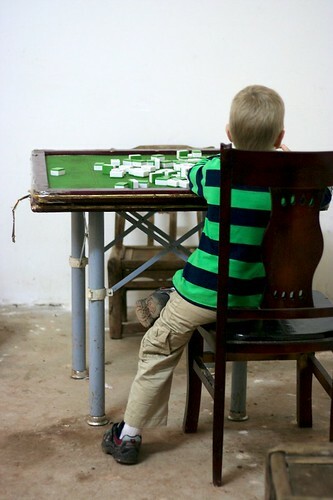 His parents have both passed away, so these trunks contain only memories. 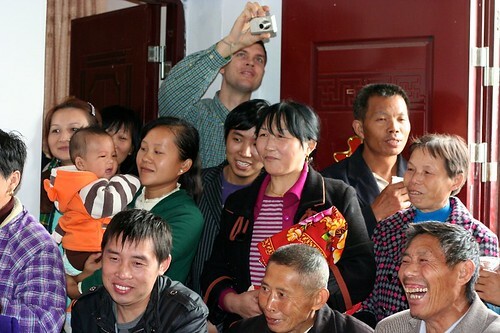 We had the opportunity to meet Wu’s Mom several times. 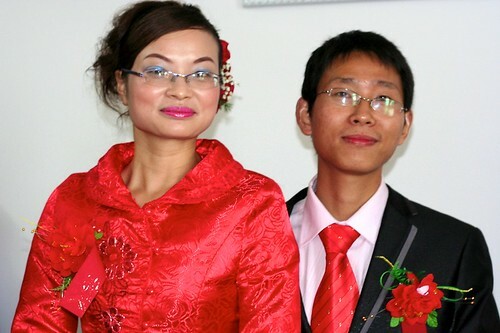 Because of her poor heath, she came to live with him at the university. I thought of her so many times today. Around 8:30pm, we were offered a ride back to our hotel. Wu escorted us all the way back to our room. 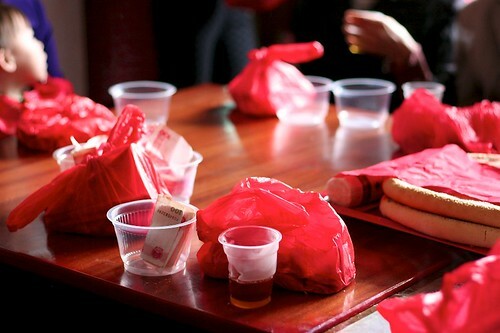 Then, he handed each of our kids a red envelope containing 50rmb ($7.80). May Wang and Wu have a long, growing marriage!